Judge Jeffrey Sunshine sitting in a Divorce Part in the Supreme Court of Kings County recently awarded a wife temporary attorneys’ fees in a pending divorce case due to the husband delaying the case from moving forward. 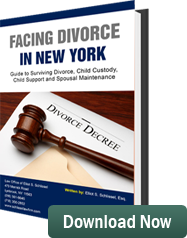 The wife had received an order in a prior application directing the husband to pay spousal maintenance (alimony) and child support to wife. Husband brought a motion to reargue this temporary spousal maintenance and child support order. Wife cross moved and claimed husband was simply delaying this case from moving forward causing her unnecessary attorneys’ fees and that the husband should be forced to pay her unnecessary additional attorneys’ fees. The wife argued in her court papers she was the non-monied spouse. She claimed the husband had “hundreds of thousands of dollars in unrecorded income” from his business. The husband’s position was the wife was the monied spouse. He claimed she made $90,000 a year while he earned significantly less money. He presented his tax return to back these allegations. Judge Sunshine noted the husband failed to provide information to explain why a number of accounts with significant assets in them did not appear on his net worth statement. Judge Sunshine went on to say in his decision the husband did not reveal “forgotten” accounts until his wife, after extensive discovery, was able to document the existence of these accounts and the funds in them. The judge’s decision stated that the husband was unwilling to reveal his true financial circumstances. The failure of the husband to provide the wife with a detailed accounting of his financial circumstances cost her additional attorneys’ fees due to the extensive discovery she had been forced to undertake. As a result, the judge awarded the wife $40,000 in temporary attorneys’ fees. Honesty is the best policy. If a judge finds that you are being less than honest during divorce litigation, he will punish you.